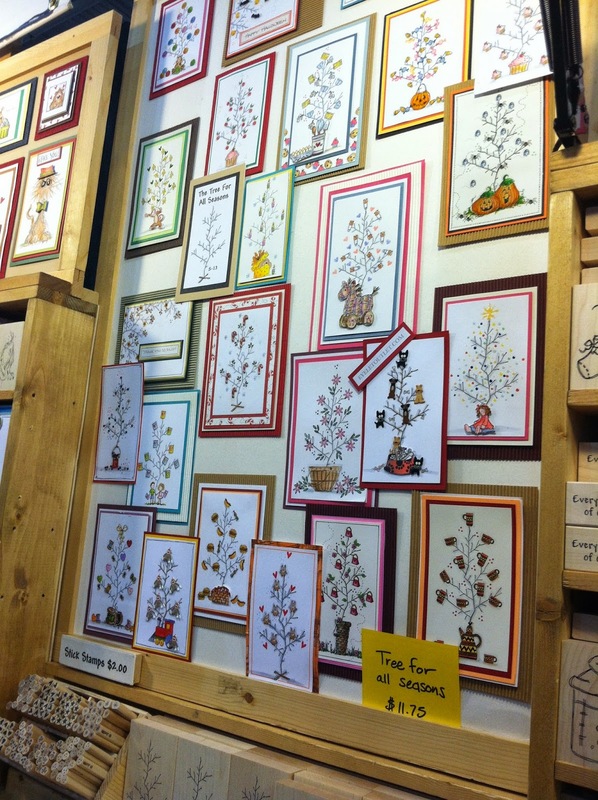 Killer Characters: Scrapbook Expo and the Cozy Days of Summer! 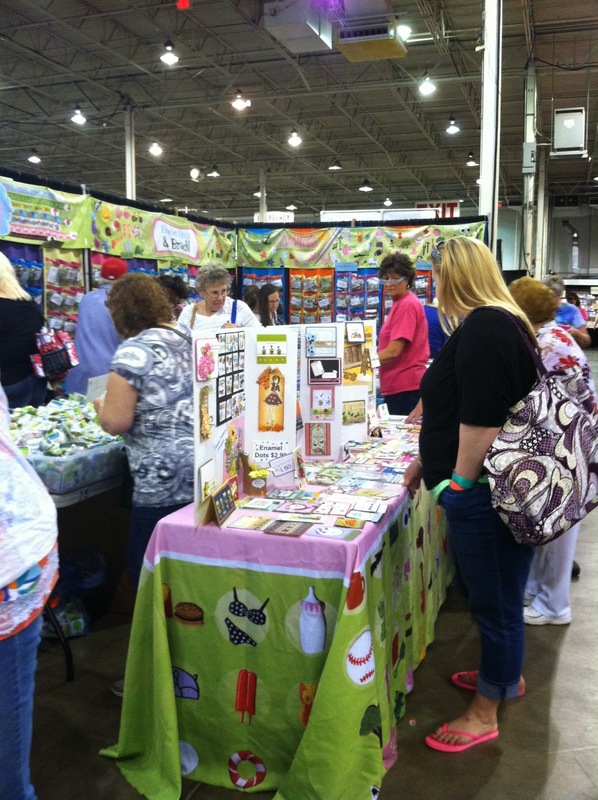 Scrapbook Expo and the Cozy Days of Summer! Summer is here! During June and July, we're celebrating the Cozy Days of Summer by giving away a book every day. 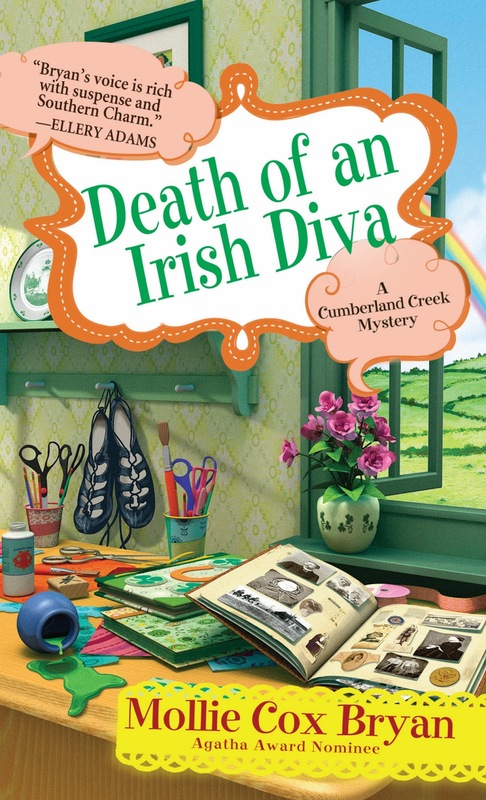 Today, you can win a copy of Death of an Irish Diva by Mollie Cox Bryan. Just leave a comment before midnight — with your email address so Mollie can reach you — to be entered in today's drawing! Summer has been great so far—well, after the pie incident (which you can read about in SCRAPPY SUMMER, ). 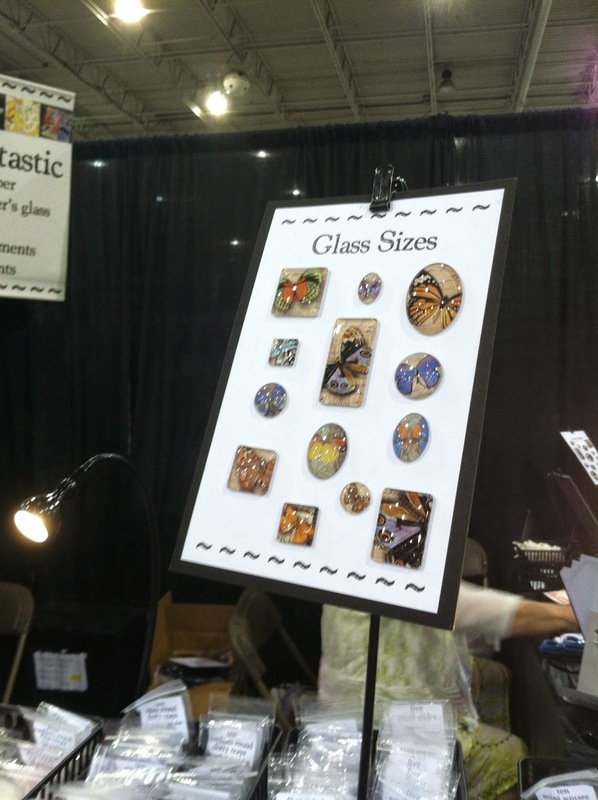 I spent a whole weekend at a huge convention called the "Scrapbook Expo." 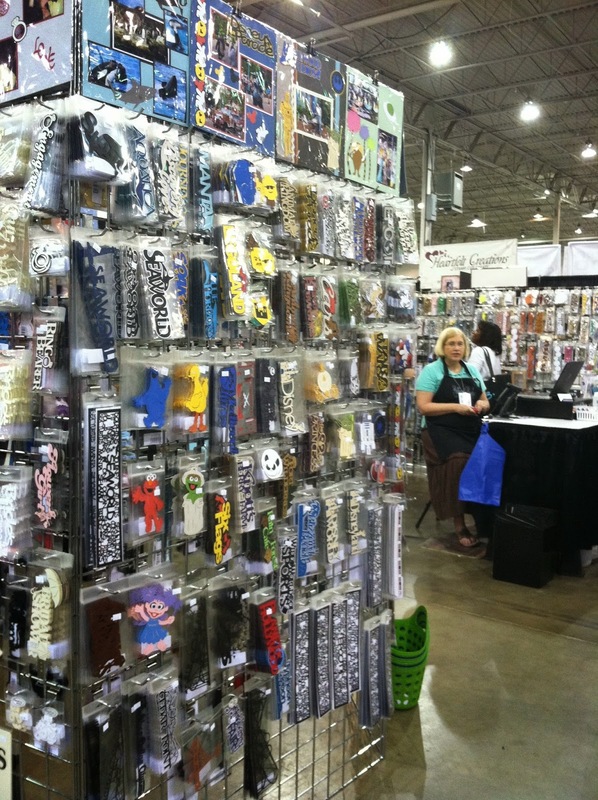 I met with some of the vendors, learned a lot in classes, and shopped until my feet and back ached. But it was so worth it. I love scrapbooking and the people involved in it. I took some photos to share with you. In the mean time, leave a comment today and win a copy of DEATH OF AN IRISH DIVA. But it's not just about the paper! Lines of people waiting to get in at 7:30 a.m.
My sister-in-law is the scrapper in the family. I have only been scrap-booking for just over a year but have enjoyed what I have learned so far. Used to scrapbook with my girls when they were younger, but we've all given it up these days. Can't wait to read this new book! I'm not a scrapbooker but this series sounds fun! Not into scrapbooking but who knows, after reading it I just might be. Love to read books about crafting! This series sounds very interesting, can't wait to read it ! Looks like it was an awesome expo with lots of fun goodies! I have been wanting to read this base do. The title alone. Looks like lots of fun...something I want to do, one day, with years of ephemera I've saved. 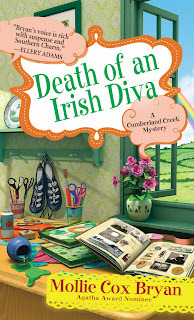 Would love to win Death of an Irish Diva! Although I don't scrapbook, I am a card maker and rubberstamper and participate in other paper arts, though I haven't done much lately. Can't wait to start the series! I don't scrapbook but my sister-in-law in Australia is into it big time. I used to scrapbook, but slacked off. I need motivation! Sounds like fun! I started thinking about scrap booking myself recently! My scrapbooking consists of "cut-and-paste" back in the 50s/60s. Maybe I should give this "new" stuff a try - or just make up 3 boxes and pass them on to my boys! I don't even scrapbook, but those pictures are so appealing. I don't scrap book---but I do like to read. Please enter me in the drawing. Love all things Irish...love the title! I don't scrapbook and considering I work in a craft store the temptation some days is really hard to control. I'm afraid if I start I'll go crazy with it. I have two sisters that are into it and do some beautiful pages...I know that I'm going to cave in one day, LOL. The convention looked really cool. If only I had the Martha Steward gene. Convention looked like lots of fun. Huh? My comment disappeared before my very eyes! So...once again...I don't do scrapbooking, but the series sounds like a good one to try. Thanks for the chance to win. Trying to make good use of summer break for organizing my card making and scrap booking supplies. Not making a dent yet. Another great series I look forward to reading! My mom made family members, including myself, beautiful scrapbooks as keepsakes. She would have went CRAZY at that expo! I'd like to read Death of an Irish Diva. liked the pictures. have only been to a couple of 'conventions' - and they were years & years ago. What fun!!!! Love doing genealogy research and making memories for my family. Every year at our family reunion I share what I've learned and the cousins love hearing about our roots.